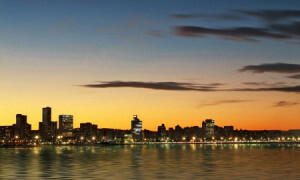 Durban, KwaZulu-Natal’s very own coastal city, is well known for its African, Colonial and Indian influences. The city, which was revamped for the Soccer World Cup in 2010, features a beachfront promenade which stretches from the uShaka Marine World theme park to the gleaming Moses Mabhida Stadium. Durban also hosts thriving botanical gardens, sandy beaches, various historical places of interest and a warm subtropical climate that makes it possible to participate in almost every conceivable outdoor sporting activity. Popular outdoor sports in Durban include hiking, mountain biking, trail running, surfing, snorkelling, scuba diving, bungee jumping, paragliding, shark cage diving and more. When you book cheap accommodation in Durban you will have the opportunity to explore the golden coastline, taste an eclectic mix of cuisines and spend hours sightseeing. For the perfect coastal getaway, Durban should be on the top of your list of options. Finding cheap and affordable accommodation options in Durban is made simple by using the hotel search feature on this page. You will find that there are many Durban accommodation specials to choose from and whether you are looking to stay in Durban North, near the beachfront or in Durban city central areas, there is an accommodation option that’s suited to both your travel preferences and budget. In the Durban city centre you will certainly find an array of budget friendly accommodation options to choose from. Back packers and hostels offer cheap overnight rates while more boutique high end apartments and guest houses in Morningside and near Florida road are slightly more expensive. For those who can afford to spend a bit more, there are options that range from 5-star guest houses to world-class boutique hotels. Other accommodation options include private beach houses, self catering holiday apartments and chalets, camp sites, caravan parks and various Airbnb offerings. The most affordable way to get to Durban is by booking a cheap flight via Domestic Flights SA. You will find that there are various low cost carriers that offer cheap flights to and from Durban. 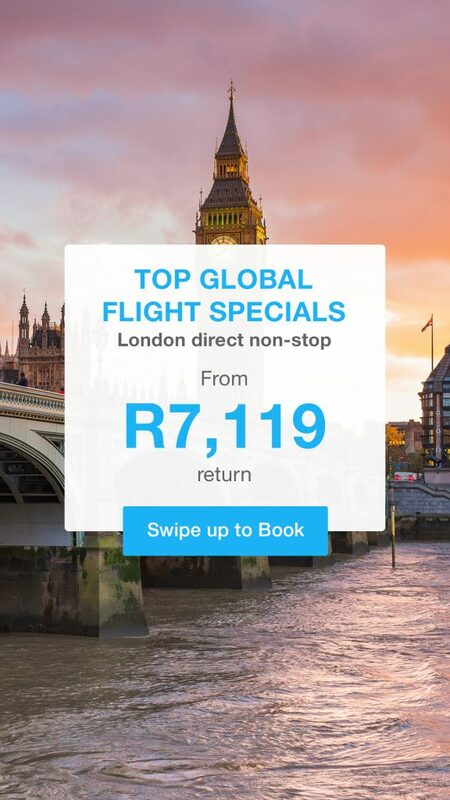 Low cost airlines that service the route include Fly Safair, Mango Airlines, Kulula and SA Express. Once in Durban you can hire a taxi, rent a car or make use of Uber to get from your hotel or accommodation to the various places of interest. Those traveling from inland will find Durban beachfront accommodation enticing. Most of the beach front hotels and holiday apartments are a short walk from the shore and offer exceptional views of the city’s Golden Mile. Some of the best beachfront hotels in Durban include the AHA Waterfront Hotel & Spa (3 star), Goodersons Beach Hotel (3 star), Belaire Suites Hotel (4 star), Garden Court South Beach (3 star), Parade Hotel (2 star), Pavilion Hotel (3 star), Blue Waters Hotel (3 star) and Impala Holiday Flats (self catering). If you are specifically looking for holiday accommodation in Durban North, you should consider the likes of Centre Court B&B (3 star), North Lodge Self Catering Cottages, Riverside Hotel (4 star), Durban North Backpackers on the Beach (4 star) and Boma Lodge (3 star). Accommodation near Durban South Beach also offers a variety of interesting options to choose from including Goodersons Tropicana Hotel (3 star), Balmoral Hotel (4 star), Garden Court South Beach (3 star) and Protea Hotel by Marriott (4 star). In Durban central itself, you will find a variety of accommodation options that are still near the beach. These areas include Musgrave, Essenwood, Morningside and Windermere. Some great inner city hotel and accommodation options include The Albany Hotel (Smith Street), Audacia Manor 5 Star Hotel (Morningside), Coastlands Musgrave 4 Star Hotel, Hotel Cube (Morningside) and Durban Manor 3 Star Hotel. You will also find a selection of hotels, guest houses, bed and breakfasts and self catering accommodation options in Durban’s more outlying areas and suburbs including Westville, Kloof, Gillits, Hillcrest, Waterfall, Bothas Hill, Inchanga, Umhlanga, Mount Edgecombe, Amanzimtoti and the Bluff. The fusion of cuisines in Durban is of particular interest. As the city hosts the largest Indian community in the world outside of India, curry and other Indian treats are readily available all over the city. Of course, the city also offers a variety of other dining options. For modern dining options, visitors usually flock to the ever-popular Florida Road, which is within the central zone of the city. The best restaurants in Durban include: 9th Avenue Bistro, Roma Revolving Restaurant, Olive & Oil, The Cargo Hold, Malis Indian Restaurant, Havana Grill, Cafe 1999, Daruma, Goundens Take Away, Mamma Luciana’s, California Dreaming and 1904. By making use of our accommodation search feature on this page, you can find the latest Durban accommodation specials and discounts. Whether you choose to stay at a hotel, guest house, B&B, self catering chalet or camping grounds, we have a selection of options for you to choose from. For the cheapest accommodation rates in Durban, book your stay during Autumn (April May) and Winter (June August) when the crowds are fewer and travel rates generally cheaper. Those who are looking for the best Durban weather for their holiday will enjoy the Summer months which can be hot and humid with temperatures reaching above 30 degrees Celsius. If you are looking to cut back on accommodation and travel costs, avoid visiting Durban during December and school holidays. Find accommodation in Durban that suits your travel preferences and budget with the help of Domestic Flights SA today.